Formerly the cultural center of the Andalusian city of Cádiz, the building had been abandoned for 10 years when its current residents occupied it November 2019. 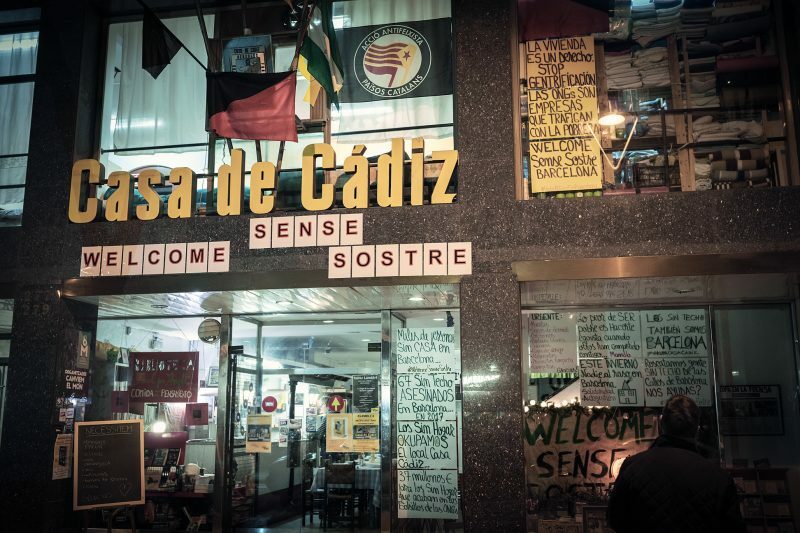 The place is now called Okupa Casa Cádiz — and it’s more than just a shelter. 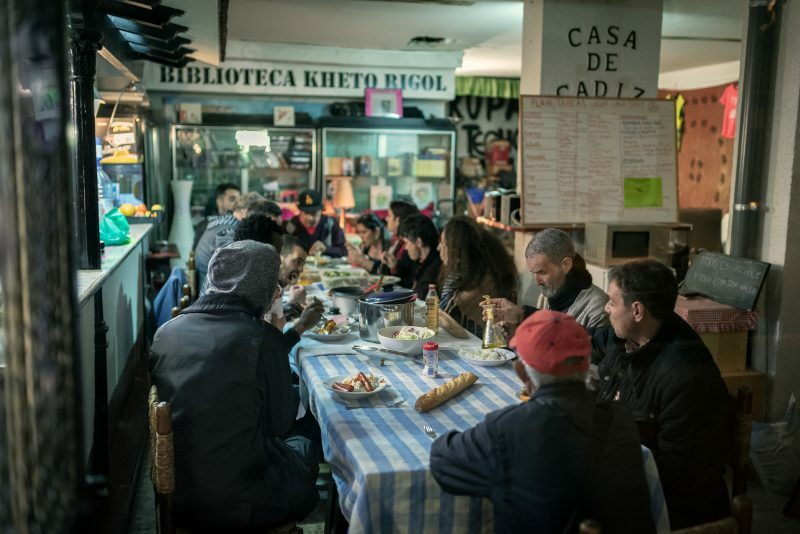 It hosts painting workshops, free Spanish and Catalan classes for refugees and migrants, “philosophy cafes” with group readings, and music concerts. Refugees, migrants, pensioners, and whole families who cannot afford the expensive rents in Barcelona live here, where they all manage the household’s chores and activities. The Okupa’s residents are pushing for new terms, and they want two associations — the National Andalusian association, which is a civic and cultural organzation devoted to promote Andalusian culture and the Carpa association, a network of artists working to promote and create cultural and artistic spaces — to mediate the negotiation with the Cádiz government. 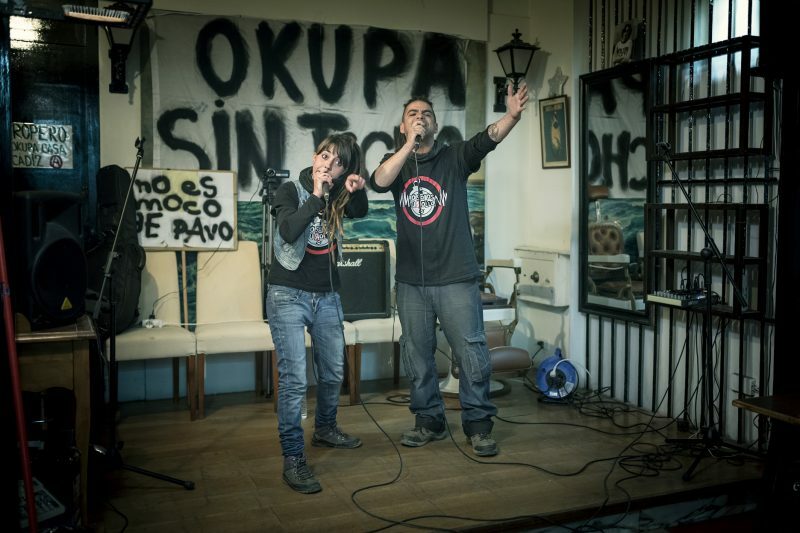 Besides offering Catalan and Spanish language classes, they also hosts concerts of alternative music, like the one they held on March 23 with the hip hop duo “No Somos tu Rollo” (We’re not your problem).